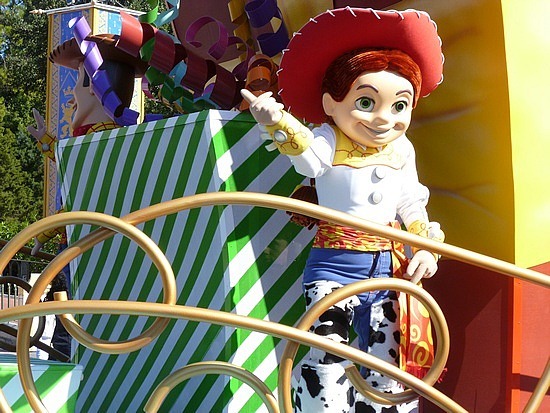 Park March Through Magic Kingdom: Parades, Shows, and Shopping! Welcome back to our Park March through Magic Kingdom! Can you believe the month of March is almost over? But I’m excited about today, because we are going to experience all of the parades, shows, and shopping we can handle inside of Walt Disney World’s Magic Kingdom! First up, parades! When it comes to parades, Disney isn’t satisfied with your hometown, five-“floats”-pulled-by-trucks, throwing out candy parade. Not that there is anything wrong with those, just expect to be a little more impressed, especially when you come to Magic Kingdom. Right now, Magic Kingdom has three parades; Move It! Shake It! Celebrate It! Street Party, Celebrate a Dream Come True, and the return of the much beloved Main Street Electrical Parade. 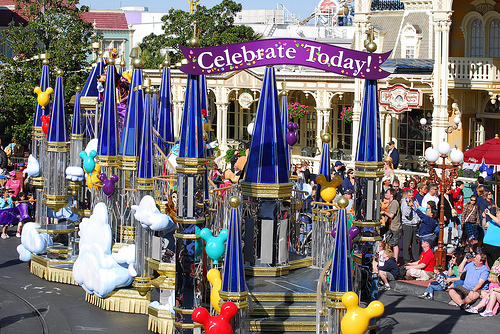 Celebrate a Dream Come True is a daily parade that features all of your favorite Disney characters! Making it’s way through Frontierland and right down Main Street U.S.A., this is a fun, colorful, and upbeat parade that is sure to bring a smile to guests of all ages. The link above is a great video I found. 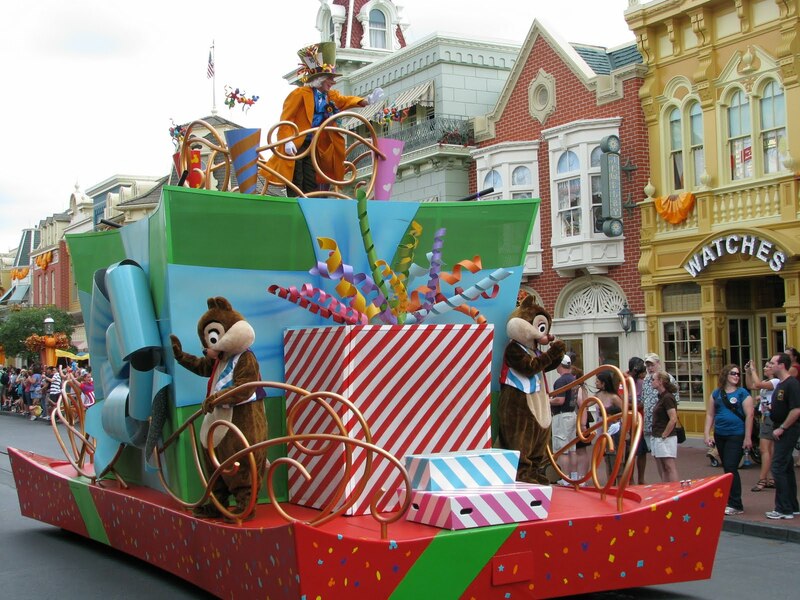 Notice how characters in the parade keep wishing someone nearby a Happy Birthday! I love how cast and characters always keep an eye out for the buttons guests wear. Speaking from experience, because Tim and I always go on our anniversary, it truly makes your day to hear your favorite Disney character say “Happy Birthday” or “Happy Anniversary”! 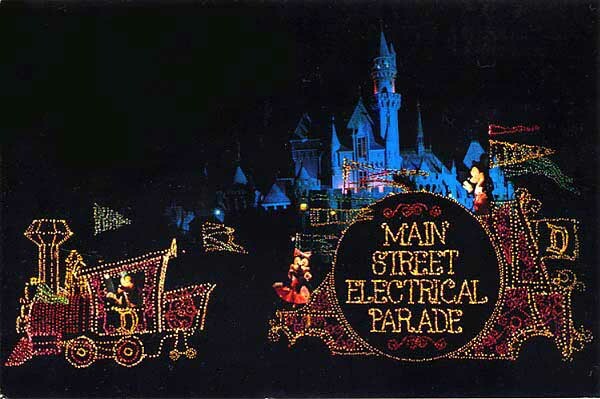 To the delight of regular Disney goers is the return The Main Street Electrical Parade! This spectacular light-filled dazzler only happens after sundown. Tinker Bell leads the way with her wand, spreading pixie dust over each float, making them and the accompanying characters light up with a mesmerizing glow! With every inch of the parade draped in thousands of LED lights and special effects, set to toe-tapping music and fun, The Main Street Electrical Parade is an instant family favorite. I didn’t attach a video of this one, because no video camera could ever do it justice…you just have to see it for yourself! Lastly, is the Move It! Shake It! Celebrate It! Street Party. This is a shorter parade that is very interactive with guests. It’s a lot of fun, but maybe not worth hopping out of line at your favorite attraction, or holding down a spot for an hour for. But if you happen to be walking by, take a moment and dance along and snap a picture or two of your favorite Disney characters! For parade times, pick up a showtimes guide brochure on your way in the park that has the lists of all parades, shows, and their times. For a good view, it is best to get to your spot forty-five minutes to an hour before the parade starts. I know…that sounds like a waste of time, but it is usually nice to take a break for a while. My family will usually pick out a spot and then take turns saving it. A couple of people will sit there, perhaps enjoying a tasty Disney treat, while the others shop or hop on a ride. Then we will switch out. It works great and we still get a good view of the parade. Another tip is to pick out a spot over in Frontierland instead of on Main Street. The parade passes right through there, but it is usually less crowded. 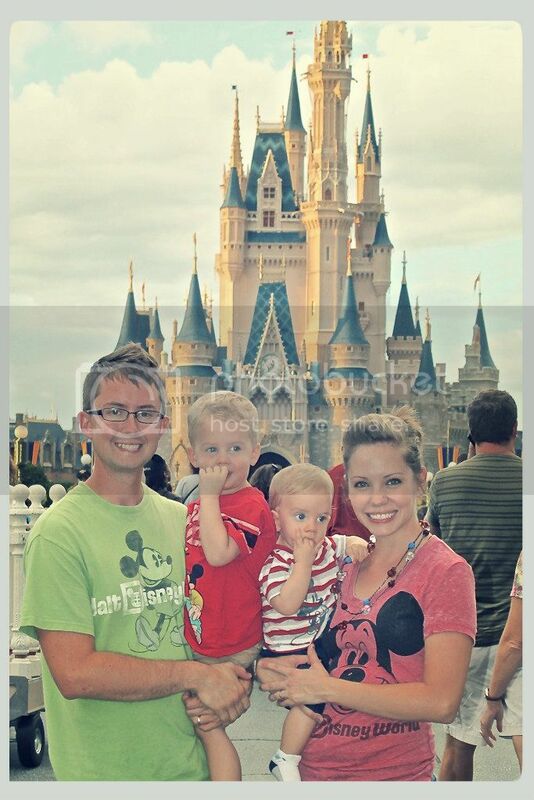 We’ve had great views from right in front of the Hall of Presidents before. Just know that Main Street U.S.A. is the most popular place to watch the parades, so if you don’t want to steak out your spot so far in advance, consider seeing it elsewhere. 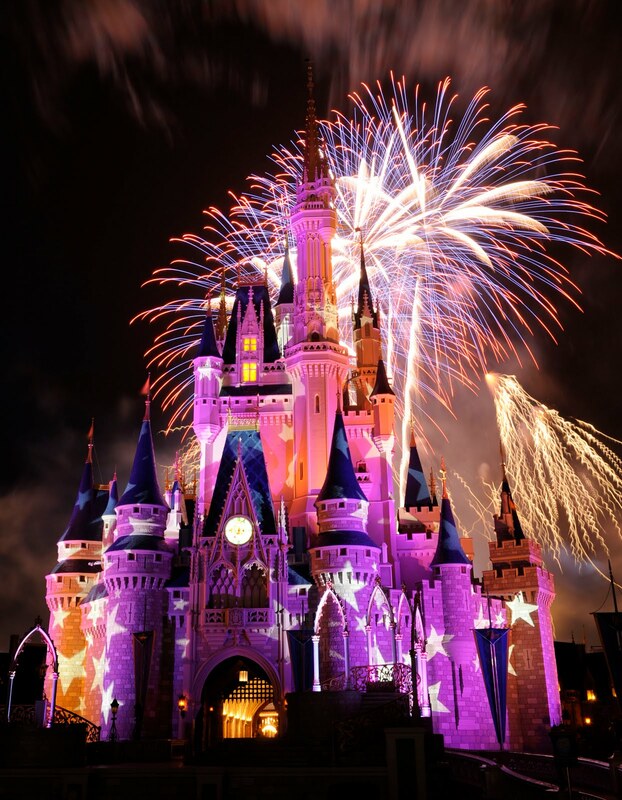 If you are looking for some great entertainment for you and especially your kiddos, you have got to see the Castle-front show, Dream-Along with Mickey! Show times will be listed on the showtimes guide brochure at the front of the park, and usually run several times a day. In this twenty-minute performance, Mickey inspires us all to believe in our dreams. Look for appearances from Mickey, Minnie and the rest of your Disney Clubhouse friends, your favorite Disney princesses and their dashing princes, and even an adventure or two from my favorite Disney character, Peter Pan! Watch out for the evil Maleficent, though, because if she had it her way, she would put a stop to dreaming altogether! Your whole family will enjoy singing and dancing along, and with a raised stage, everyone is sure to find a great spot to watch. Check your showtimes guide brochure for all of the other small shows that go on throughout the day, like the Dapper Dans Barbershop Quartet, The Main Street Philharmonic, or a performance from a Ragtime piano player at Casey’s Corner. 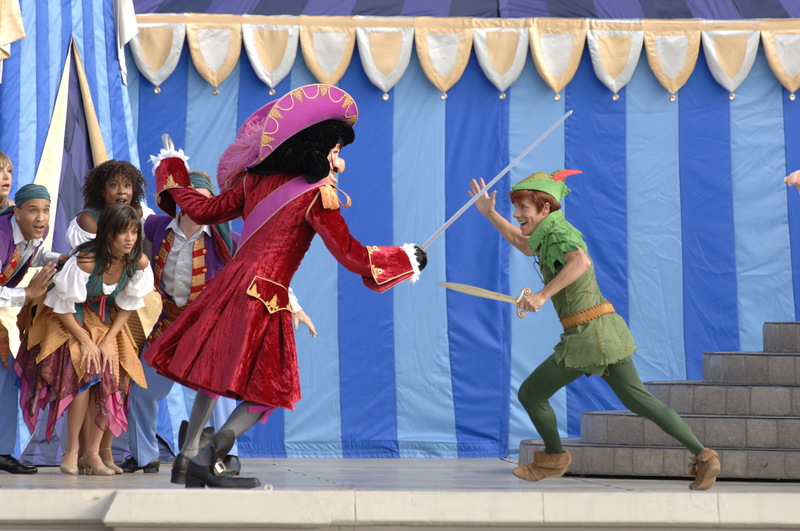 There is never a dull moment at Magic Kingdom! In between all the attraction-riding, parade-viewing, and show-watching, I’m sure you are going to want to stop and do some shopping inside one of the many gift shops! You have to brows through the seemingly endless Emporium that stretches the whole length of Main Street U.S.A.! Each land has it’s own themed shops with everything you could ever wish to find in Disney. One of our favorites to stop in is the Ye Olde Christmas Shoppe over in Liberty Square. It has tons of Disney Chrismas decor and ornaments year-round, to get you in the spirit. Also, remember those makeovers I mentioned? 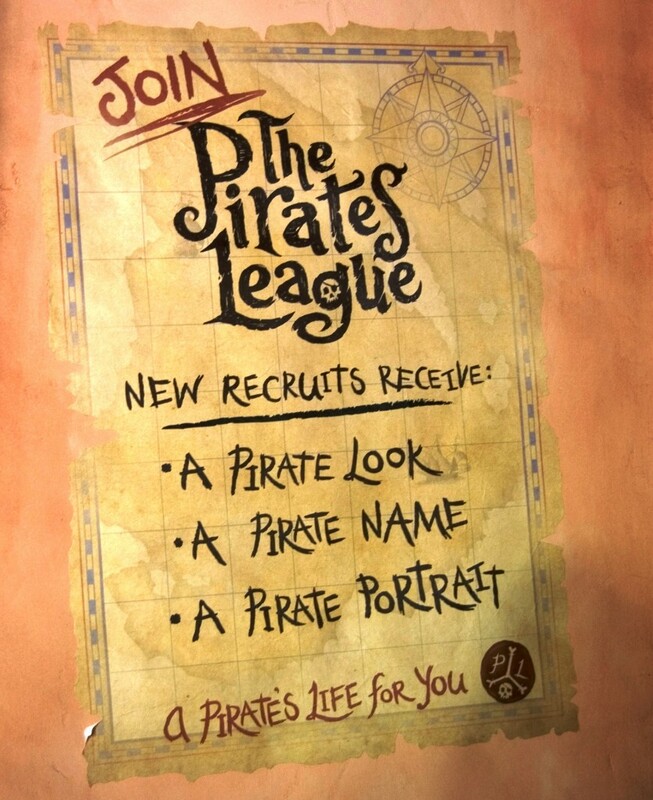 If you are traveling with any little princess or pirate wannabe’s, you have to stop by the Bibbidi Bobbidi Boutique in Cinderella’s Castle and The Pirate League in Adventureland. 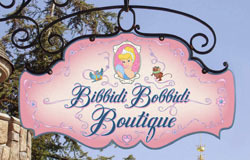 At the Bibbidi Bobbidi Boutique, little girls will be pampered and treated like princesses while getting the hair-style and outfit to turn them into one. 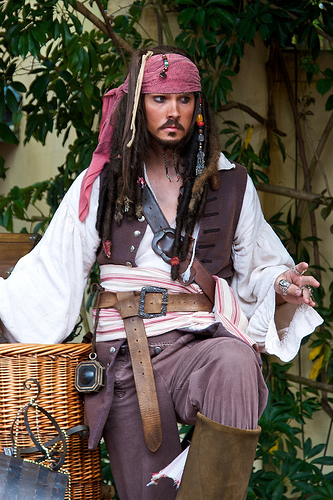 Boys get a chance to become as gruesomely pirate as they like, with their own choice of get-ups and pirate face-paintings. After a long, but fun, day in the park, and the sun is starting to set, go ahead and steak out your spot for the must-see Wishes Nighttime Spectacular! 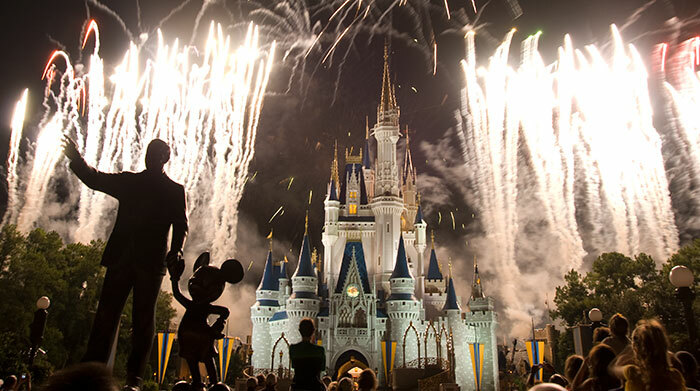 Watch the amazing display of fireworks and special effects, set to music from your favorite Disney classics, with Jiminy Cricket as your host. If you are sitting close to the Castle, watch for Tinker Bell as she flies out of the top window of Cinderella’s Castel towards the beginning of the show! Yes, that is the real Tinker Bell flying over your head, with her dress glowing in lights…not some animatronic! This firework spectacular really portrays what Walt Disney World is all about, and it is hard to watch without a lump rising in your throat. Oh how I wish I were there now! My advice for the fireworks is the same as the parade. To get a good spot, get there early! Although, your best views are going to be at the top of Main Street right in front of the Castle, we have also had great views from Liberty Square and the entrance to Tomorrowland. One of our favorite spots is at the bottom of Main Street, near the entrance to the park, right in front of the Castle. It’s a decently good view, and an easy exit once they are over, so you can beat the crowds out of the park, and if you are staying on property, not wait in super long lines for a bus back to your hotel. Well, that is it for today. What a great way to end. Thanks for coming along with me on our Park March today! See you next week for the last Park March Through Magic Kingdom, where we will be taking a peak into the future to see what is in store for Magic Kingdom in the next few years! It’s going to be fun, and I think you will be surprised by all that Disney is dreaming up right now! really putting added stress on every system in your body. sum up into one thing- satisfaction. guide. Keeping your home plumbing running smoothly is not a difficult job. ruin or severely impair a character in Champions Online.